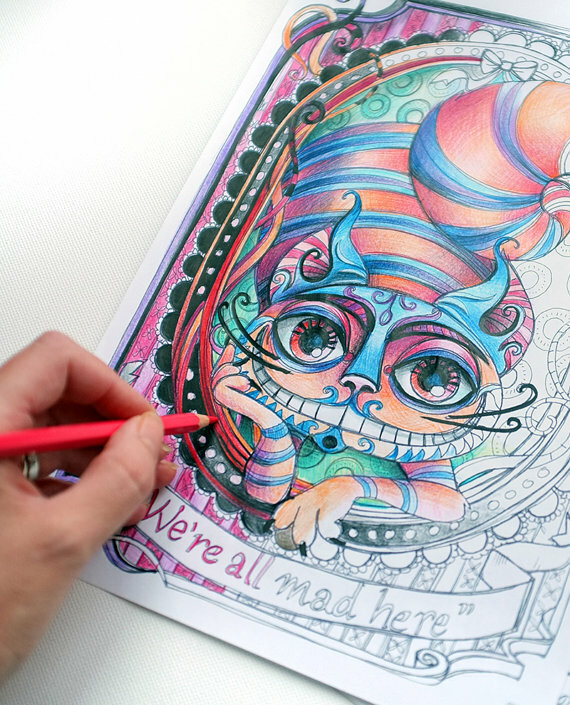 Coloring pages for adults are all the rage right now. A lot of people see it as a stress reducing activity and well coloring is just plain fun in my book. 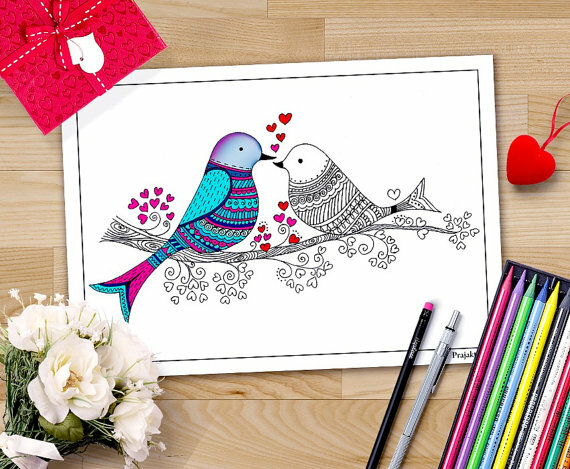 I was an only child for many years so coloring was an activity my mom had me do to keep me busy and I really enjoyed it. As a child I'd take my favorite coloring book, go over to my friend's houses and we'd have 4 to 6 kids all hanging out and coloring together.Obviously this was before video games, lol! Keeping those fun times it mind, I pulled together some coloring pages that I thought were super fun. Most could be done as an activity with your child, which makes it an even more attractive pastime. Wonderland is a favorite theme of mine and this is one I'd love to color. The fun thing about Wonderland is all the colors are weird and mixed up and there is no right or wrong. 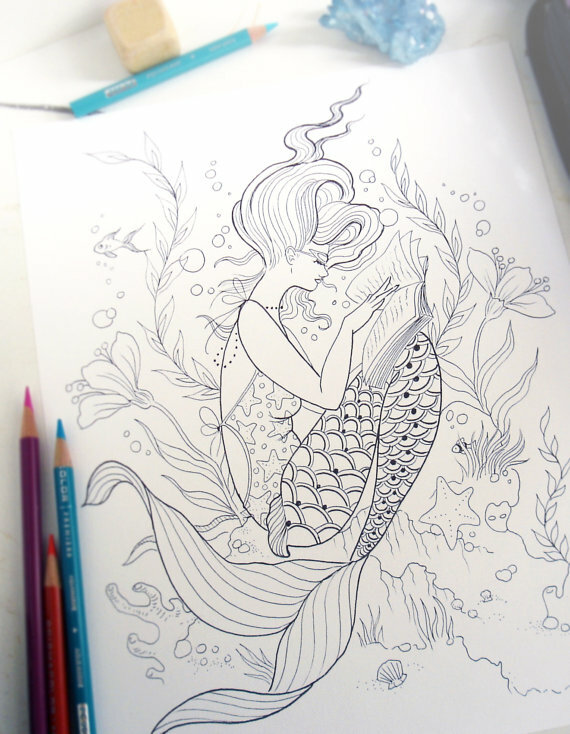 Mermaids are always so cool and fun to draw and color. This one isn't overly intricate and can be done in one sitting. 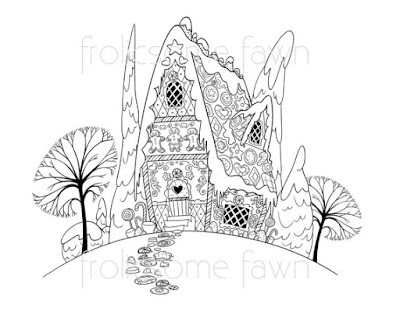 Fairy tales are my my all time favorites and I adore this Gingerbread House. Don't you just imagine an old witch peeking out the window waiting to catch Hansel and Gretel nibbling on her house? Click on this pic or go to this shop to see all the great little details in this drawing. 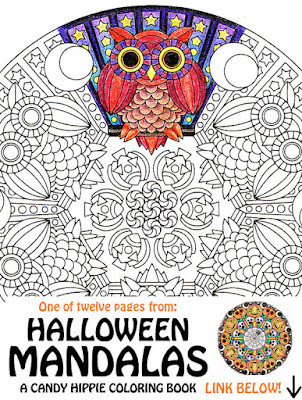 Mandalas make such a unique coloring page. I love this shops mandalas, they aren't overly intricate like most mandalas are. I personally find too much detail to be anxiety producing, but that's just me. This feels like just the right amount of detail. This is an lovely page that can be colored and then given as a gift. The details are so sweet and it's not an overwhelming project. 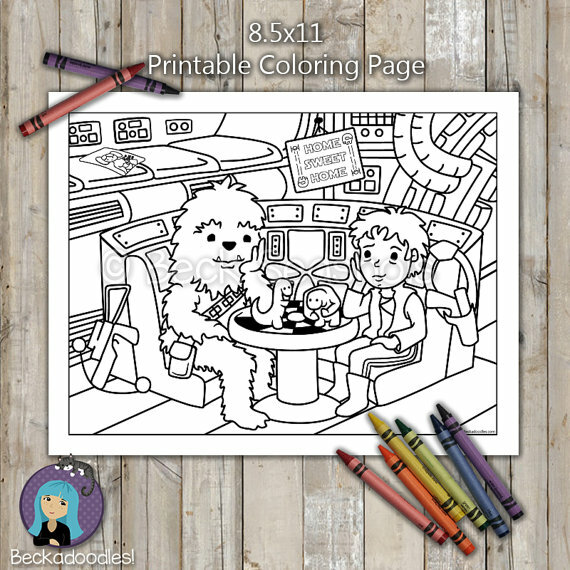 While this is probably for children a Star Wars fan of any age would enjoy coloring this. This shop has a lot of great sci-fi coloring pages. 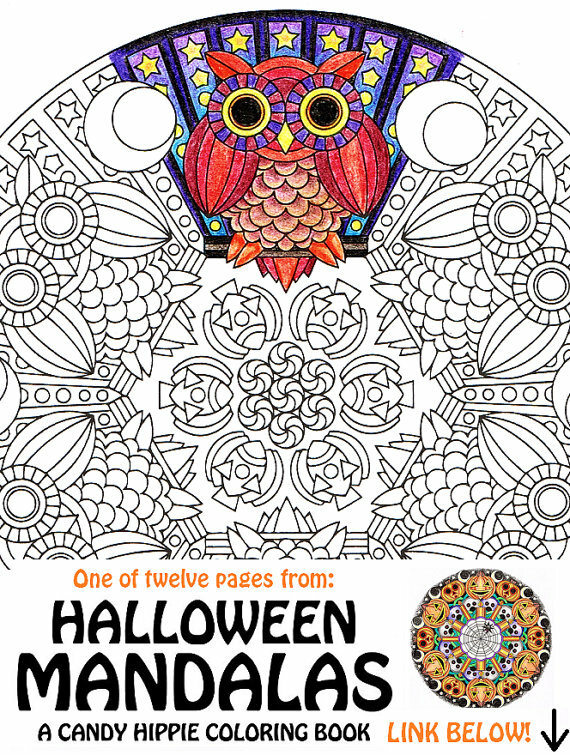 I also found you some FREE coloring pages too. I hope you enjoyed my finds today and start coloring soon! These are very beautiful pages. So much prettier than anything I had as a child. I even thought about trying to make some pages myself to sell. But I have too many things to finish first. I'm happy that so many people enjoy them but I just don't get it! I would never want to do one myself! I think artists probably wouldn't do them but people in other fields would enjoy a little bit of fun art to relax. While I personally love and am attracted to coloring pages, I don't have any time to spend to actually color one myself, lol!